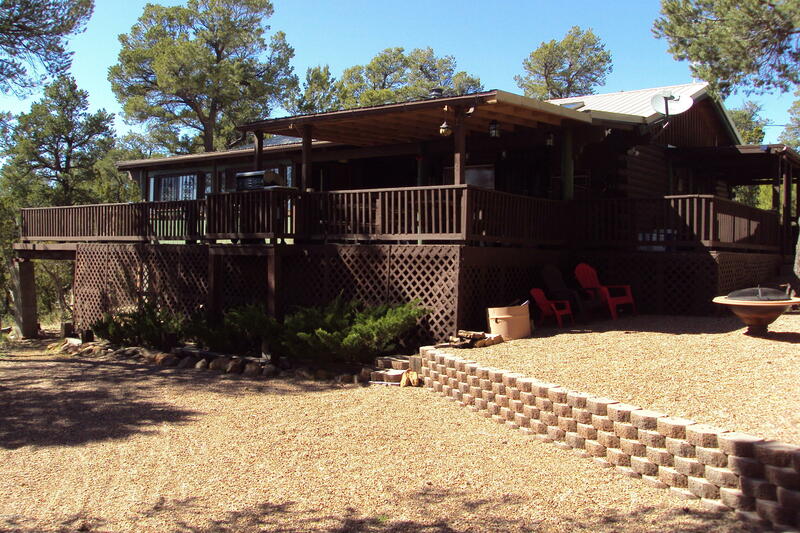 2BR/2BA seclude cabin w/additional room being used as a 3rd BR and could be a hobby room or office. Beautiful brick backdrop to match the country feel of this home and the free standing woodstove. Open floor plan LR to Kitchen with kitchen having custom stained glass light panels in kitchen. Enclosed front porch presently being used as a dining room. Decking w/ views for miles partially covered. 2 out buildings one being original with the home and the other installed within a few years. Separate covered grill area w/lighting. Home offers privacy yet within driving distance to stores. If you enjoy the outdoors, you will definitely enjoy this home. Home is being sold furnished with seller providing a list of furniture to stay. This will be provided to an interested party.